So we are we today, in terms of the science behind the effects of inhaled essential oils, often referred to as the “psychopharmacology” of essential oils? 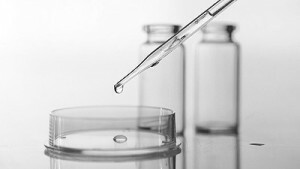 Not surprisingly, due to the highly subjective nature of testing the efficacy of essential oils, as well as the simple fact that there’s not a ton of money to be made from testing results with essential oils, trials are scarer than one might imagine. Also, with such a large variability in the quality and composition of essential oils, this can cause difficulties when trying to discern their effects quantitatively in terms of scientific measurements. But some facts are emerging. One key fact is that it is now generally agreed upon by numerous studies is that essential oils, when “administrated orally, by means of subcutaneous injections, dermally, or by inhalation do reach and adequately cross the blood-brain barrier.” Wow. Equally as exciting is a study by Shaw in 2007. Here, he found that Lavender Oil, when inhaled, demonstrated measurable decreases in anxiety levels. Bradley in 2007 also confirmed these findings in a separate study that showed an increase in exploratory behavior by gerbils when exposed to Lavender Oil. The Lavender Oil used in both studies was very high quality, and was tested to contain 25% of linalool, and 46% of linalyl acetate. We specifically chose the Lavender Oil we offer here on EOX because of it’s similar composition of the two above substances. And these are just a couple of the numerous scientific studies that can be found in relation to Lavender Oil (and many others). In my “Scientific Proof of Essential Oil Effectiveness”, I discuss more studies that show the effectiveness of various essential oils. What all these studies are telling us is what traditional practitioners have known since ancient times: Essential Oils, as aromatherapy, have measurable effects on the human body and mind. Even though there are just a handful of studies on a few extraordinarily popular essential oils, this does point to a reliable trend; that essential oils in general, in their complexity, have a very complex way of interacting with the human body and psyche as well. What’s equally as exciting, is that more and more studies are starting to be conducted in relation to individual components of essential oils. One example is “linalool”. 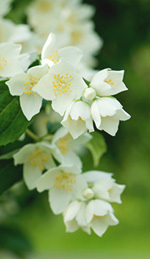 It’s a funny name, but it occurs in a number of plants, and in high quantities. Bergamot, Lavender, Lemon Balm, Lemon Grass, Peppermint, Rose, and Rosemary are all examples of plants and essential oils that contain linalool. And, as you know from reading this article, linalool has been conclusively shown to reduce stress and anxiety in both humans and rats. Not surprisingly, in traditional and folk medicine, the linalool-producing species of plants are often used as sedatives, calming, and anti-anxiety remedies in aromatherapy. I know that anyone who has experienced the amazing and tangible effects of various essential oils don’t need to be told these facts, but it is nice to be validated every once in a while. And, scientific study after scientific study confirms what us practitioners already knew! Trust your senses when working with essential oils. As long as the information you’ve gathered is agreed upon by the herbalist community, or has solid scientific evidence to support it, don’t be afraid to experiment, to blend, to try out essential oils in a variety of situations and circumstances. That’s part of the joy of essential oils! Thanks for taking the time to read this. I know there are countless resources available out there, and I do my best to provide unique information that is practical. Mountains of information is one thing, but learning quickly how to apply that information in our daily lives is the goal of every one of my posts here at EOX. This entry was posted in Aromatherapy, Clinical Aromatherapy on July 15, 2015 by Keith Cleversley. Headaches are one of the most common medical complaints; they can be caused by stress, muscle tension, hunger, eye strain from too much screen time, or deeper medical conditions. Luckily, there are many essential oils for headaches that can help reduce pain and tension. What’s more, using essential oils to treat headaches is often as easy as dabbing some oil on a cotton ball or inhaling some from the bottle. In this article, we explore some of the most popular essential oils for headaches and how to use them effectively. Please note that this article is not a substitute for trained medical advice. Headaches may be an indication of a more serious medical condition. You should consult a physician if you suffer from headaches that are severe and/or chronic. Many severe, chronic headaches such as migraines and cluster headaches require treatment by a doctor. This article is intended to be an overview of essential oils to treat headaches that are minor and infrequent. Essential oils containing menthol or 1,8-cineol have cooling properties that can directly numb the pain and discomfort of a headache . Many essential oils also have vasodilating properties that increase circulation , may reduce muscle tension, and can even treat emotional stress at the root of some headaches . 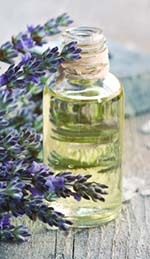 Essential oils with hormone-balancing properties, such as lavender and clary sage, may be especially effective at reducing headaches caused by hormonal imbalances during a woman’s menstrual cycle . As you can see, as many causes as there are for headaches, there is also an essential oil to combat them! One of the most popular essential oils for headaches, peppermint contains cooling menthol that can directly numb tissues while also increasing nourishing blood flow to the painful area. People commonly use peppermint oil for tension headache and muscle ache . However, peppermint oil can be stimulating and may interfere with sleep, so we recommend against using it right before bed. 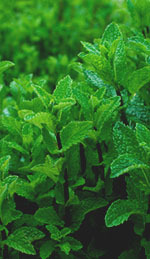 You can also use spearmint oil if you prefer the aroma, since it contains many of the same compounds . Peppermint oil is considered one of the best home remedies for headaches and migraines. Lavender: With its high linalyl acetate content, lavender oil is sedating and can soothe inflammation . The oil also contains phytoestrogens which may help reduce headaches caused by an imbalance of female hormones. Lavender oil’s calming properties can be perfect for treating any underlying emotional stress as well. This oil can be used before bed without keeping you awake, and in fact, lavender aromatherapy is actually recommended for treating sleeplessness. Roman Chamomile Oil: This lovely, apple-scented oil possesses similar properties to lavender oil due to its high ester content . 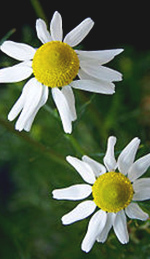 Roman chamomile oil is sedative, reduces tissue inflammation, and may also have direct relaxing effects on the nerves . Roman chamomile oil is one of the gentlest essential oils. 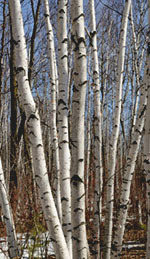 Its common name comes from its wide use in medicine since Roman times. Eucalyptus Oil: This oil is especially effective for sinus headaches caused by congestion. Packed with 1,8-cineol, eucalyptus has powerful expectorant properties and direct analgesic properties similar to menthol . Note that eucalyptus oil should not be used on children younger than 12 (for older children, consult a physician), because it can cause respiratory spasm, especially in larger quantities . Basil Oil: A muscle relaxant similar to peppermint oil, basil oil can be used to reduce tension headaches, as well as aches and pains in the surrounding neck and head muscles . 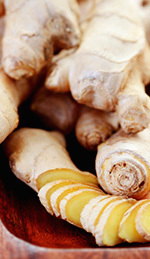 Ginger Oil: This slightly spicy-smelling oil is a powerful vasodilator and circulatory stimulant. Commonly used for painful, aching joints, a little bit of ginger oil can also go a long way toward wiping away that irritating tension headache . Ginger oil is best used sparingly in a blend with another oil such as lavender. Anecdotal evidence suggests ginger oil may be somewhat effective against more severe chronic headaches such as migraines . Ginger oil is an invigorating circulatory stimulant that works on circulatory problems and muscle pain as well as headaches. As with any essential oil treatment, dilution is the rule. Always dilute a few drops of your chosen essential oil (or blend) in 1 fluid ounce of a gentle carrier like jojoba oil. The general ratio is 10-12 drops of essential oil (6-8 drops if using peppermint, spearmint, or eucalyptus, as these oils are stronger) in 1 fluid ounce of carrier oil. Place your blend in an amber or blue glass bottle with a stopper. 1-4 drops of this blend may be massaged into the painful area—back of the neck, temples, forehead, and so on. You can also dilute a few drops of essential oil in water in a spray bottle to create a room spray, or use the inhalation method: place a few drops of undiluted oil into a diffuser or cotton ball and inhale the vapors. When using this method, use only one drop of essential oil at first until you know how your body reacts to it . Always use any essential oil for headache sparingly and in dilution (unless using the diffusion method above). Using more of an oil will not necessarily be more effective, and may cause a reaction or sensitivity to the oil. We always recommend consulting a physician when considering treating children with essential oils, as they may have sensitivities to certain oils. For instance, oils high in menthol or 1,8-cineol, such as peppermint or eucalyptus, can cause breathing difficulties in children. Furthermore, while this is rare, a few essential oils can actually cause headaches! 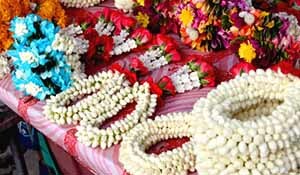 Ylang ylang oil in particular is a headache trigger for some people, especially when used in excess . Certain foods rich in phytochemicals are thought to reduce the frequency of headaches: particularly flax seed (which is high in healthy omega-3 essential fatty acids), and buckwheat, which contains the phytochemical rutin . The pith (white part) of citrus fruit is also a source of rutin. Conversely, people suffering chronic headaches and migraines should consider keeping a food diary to identify foods that may be headache triggers. Common “trigger foods” include caffeinated or alcoholic beverages, chocolate, red wine, foods high in tannins, MSG, red or processed meat, and aged, fermented or pickled foods . Eliminating these foods and then slowly adding in one at a time can be one way to identify foods that may be headache triggers . Even more severe forms of headaches such as migraine and cluster headache may respond to do-it-yourself remedies. At the onset of a migraine, massaging the occipital nerve at the base of the skull can sometimes reduce the severity of an attack, or even prevent it in some cases . This treatment’s effectiveness may be increased by warming the hands about 15 degrees (by soaking them in warm water); researchers think this increase in temperature may treat vascular headaches by regulating circulation . Finally, some people find relief from chronic, severe headache such as cluster headache by use of capsaicin cream . Derived from the compound that makes chili peppers hot, when rubbed into the spot where headaches occur 4-5 times per day for about 4 weeks, capsaicin cream is thought to reduce and even prevent severe headaches by depleting nerve endings of substance P, the neurotransmitter that sends pain impulses to the brain . Capsaicin cream works best as a headache preventative because of the more extended treatment required. Nature has created many plants with compounds that can aid us in our quest to rid ourselves of headaches and other sources of chronic pain. With a little research and dedication, it is possible to naturally treat headaches and live a more comfortable life! 1. Calabro, Sara. 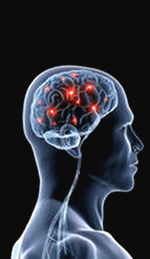 “Home Remedies for Headache and Migraine”. Everyday Health. Accessed January 27th, 2015. http://www.everydayhealth.com/headache-migraine-pictures/8-home-remedies-for-headaches-and-migraines.aspx. 2. “Aromatherapy for Headaches”. 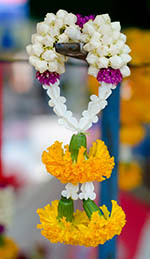 Aromaweb. Accessed January 27th, 2015. http://www.aromaweb.com/articles/aromatherapy-essential-oils-for-headaches.asp. 3. Keville, Kathy. “How to Get Rid of a Headache With Aromatherapy”. HowStuffWorks. 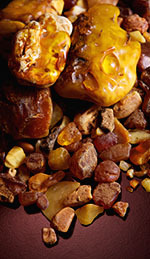 Accessed January 27th, 2015. http://health.howstuffworks.com/wellness/natural-medicine/aromatherapy/how-to-get-rid-of-a-headache-with-aromatherapy.htm. This entry was posted in Aromatherapy and tagged aromatherapy, circulatory stimulant, pain relief on February 6, 2015 by Keith Cleversley. There’s nothing quite like the study of essential oils to make one realize the deep relationship between the chemistry of plants and their outward characteristics, including their distinctive smell, taste, and therapeutic effects. Verbena essential oil is a case in point: because it contains high levels of citral , verbena oil has an unmistakable lemony fresh smell usually associated with lemons and other citrus fruits! Hence, verbena is often called lemon verbena, and in the Latin name for the plant (Lippia citriodora), “citriodora” actually means “lemon-scented” . Verbena essential oil also shares some therapeutic applications with citrus-based oils: it is used to stimulate digestion, center the mind, and clear away mental cobwebs that are the result of fatigue, lack of sleep, or chronic stress . Verbena is a perennial flowering shrub native to Chile and Peru. It can grow 2 to 3 meters (6 to 10 feet) tall at maturity, with small clusters of white or pale purple flowers and lance-shaped green leaves that are slightly rough to the touch . The leaves are the part used to distill verbena essential oil, and they emit a strong scent of lemon when crushed due to the presence of the compounds citral, nerol, and geraniol . When the Spanish and Portuguese first came to South America, they fell in love with verbena’s crisp citrus aroma and imported the plant back to Europe so they could cultivate it for its essential oil . Verbena oil became an instant must-have in soaps, facial toners, and toilette water, while the fragrant leaves were used to flavor everything from fish and poultry to vegetable marinades, salad dressings, jams, and puddings . A Spanish botanist went so far as to name verbena Yerba Louisa in honor of the Spanish princess Maria Louisa of Parma, who later went on to become the queen of Spain . In aromatherapy, verbena essential oil is most commonly used to stimulate digestion and soothe indigestion, wind, and an upset stomach [2, 3]. The oil can also soften the skin and reduce puffiness when it is added to facial creams and lotions . Verbena also has a reputation for helping with liver congestion, and has a mild calming effect on the respiratory and cardiac systems . Perhaps this is why verbena essential oil is often used to address nervous tension, anxiousness, stress-related insomnia and other symptoms of chronic stress . The oil’s sweet yet sharp aroma can calm the emotions and focus the mind on the present moment when life’s demands seem overwhelming. Because of its citral content, the same caution should be taken when using verbena essential oil as with citrus oils such as orange, lime, and lemon. Always do a patch test with verbena oil diluted in a carrier oil before working with this oil in a massage, and do not expose treated skin to sunlight for 24 hours after application to avoid possible photosensitization . With its floral-citrusy fragrance, verbena oil blends well with resinous and citrus oils such as elemi, frankincense, lemon, neroli, and palmarosa. 1. “Aloysia citriodora”. Wikipedia. Accessed February 24th, 2014. http://en.wikipedia.org/wiki/Aloysia_citrodora. 2. Roberts, Margaret. 2003. A-Z Herbs: Identifying Herbs, How to Grow Herbs, and the Uses of Herbs. Struik Publishers. 3. 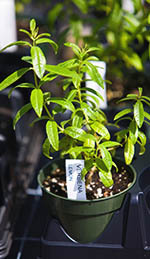 “What is Lemon Verbena Oil?” Wisegeek.com. Accessed April 9th, 2014. http://www.wisegeek.com/what-is-lemon-verbena-oil.htm. 4. Gomes, P.C.S., H.R.C. Oliveira, A.M.S. Vicente, and M.F. Ferreira. 2006. “Production, transformation and essential oils composition of leaves and stems of lemon verbena [Aloysia tryphilla (L’Hérit.) Britton] grown in Portugal”. Rev. Bras. Pl. Med. 8: 130-135. http://www.sbpmed.org.br/download/issn_06_4/8esp_130_135.pdf. This entry was posted in Aromatherapy, Essential Oils on February 26, 2014 by Keith Cleversley.